This evolving series captures personalities; most of whom are artists that do not frequently appear in their own works. When Lüscher visited Ai Wei Wei in 1997 at the Songzhuang Artists Community, he was hardly known in the West. 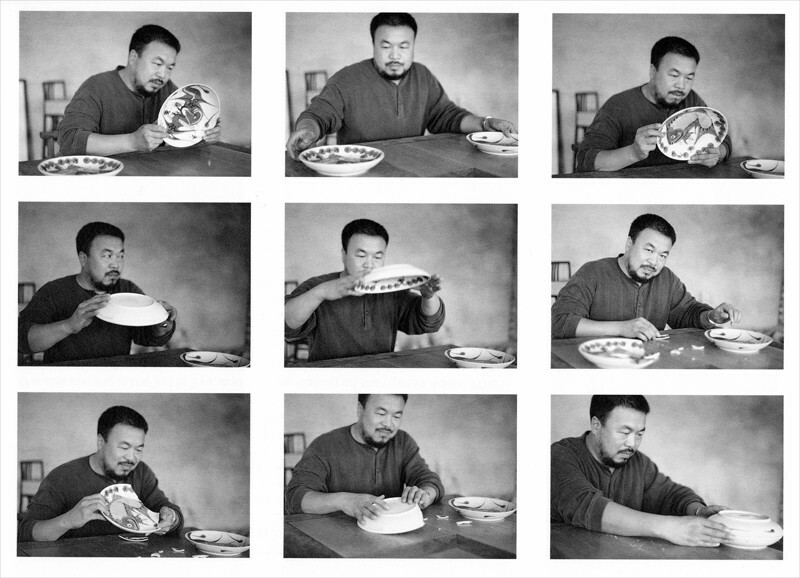 This performance—an old, perhaps precious bowl sacrificed for the sake of knowledge gained by its destruction—is a demonstration firmly rooted in the Chinese conceptual artist's repertoire. He looks to the audience as if to gauge a reaction and at the next moment begins to put the shards of porcelain back together in order to create a new form.